Do you like Mushroom Match-3? Share it with your friends. 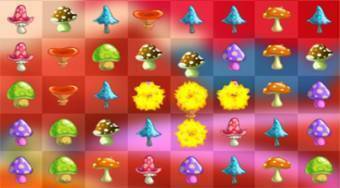 Mushroom Match-3 is a very catchy logic game where you will be able to connect as many as three different types of mushrooms in any direction and try to score as many points as possible within 30 seconds. If you combine four or more identical mushrooms, you get a good time for a good time.